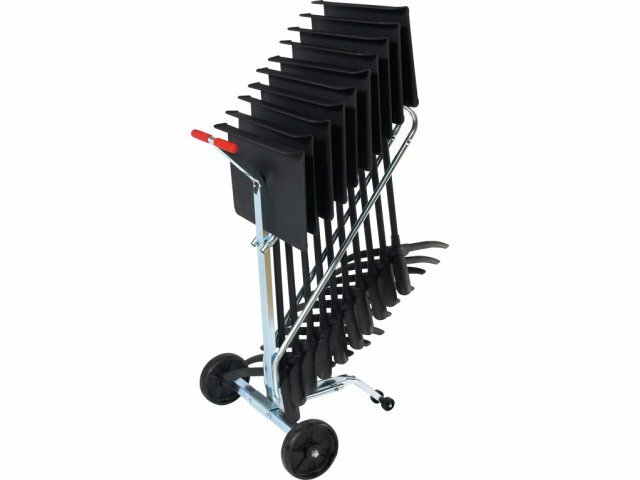 This music stand cart is designed to easily transport and store 10 of our NMS–82 music stands. Made of strong zinc plated steel and equipped with heavy duty casters, this cart is durable and extremely convenient. Constructed with strong heavy–duty steel for long–lasting performance. Handles are covered with soft rubber for extra comfort. 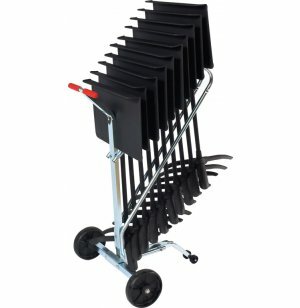 Carts can be used with music stands from other various manufacturers. The compact and lightweight design makes it easy for one person to handle, even up and down stairs.